On 5th and 6th February 2018, Pyrocontrole was present at the Industrial Analysis Solutions exhibition at the Grande Arche de Paris la Défense. This trade fair is a prime meeting place for industrial customers and analysis professionals, serving as a catalyst for projects and business, and has become the annual get-together for this particularly Industry and Process-oriented sector. On 5th and 6th February 2018, Pyrocontrole was present at the Industrial Analysis Solutions exhibition at the Grande Arche de Paris la Défense. This trade fair is a prime meeting place for industrial customers and analysis professionals, serving as a catalyst for projects and business, and has become the annual get-together for this particularly Industry and Process-oriented sector. It is considered THE event for the players in the industrial analysis sector, and particularly for its exhibition, its 15 technical conference cycles, its debates around various themes and its 10 expert workshops. 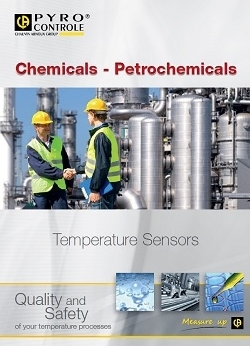 Pyrocontrole, specialized in temperature measurement in industrial environments, was present at this trade fair for both days. This enabled the company to meet the 2,500 professionals attending, presenting its latest solutions, product launches and innovations. 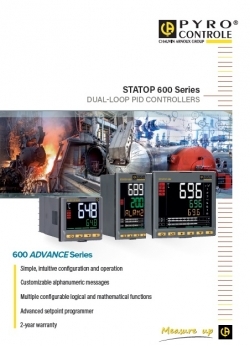 At this event, Pyrocontrole spotlighted its new range of temperature controllers: the STATOP (648 – 689 – 698) 600 ADVANCE Series of new-generation DUAL-LOOP process controllers, designed for the most demanding industrial applications. Visitors to the trade show were able to discover the 3 controllers comprising this this range, the new simple intuitive configuration procedure and the other innovations, such as the advanced setpoint programmer, customization of the alphanumeric messages, multiple configurable logic and math functions, etc. Pyrocontrole also highlighted its PYROtracer C.A 6500 range, comprising two new-generation paperless data recorders (C.A 6510 and C.A 6520) benefiting from the latest technological advances and a more rugged design. The two recorder models in this range extend from the entry-level through to the most sophisticated to suit every application. 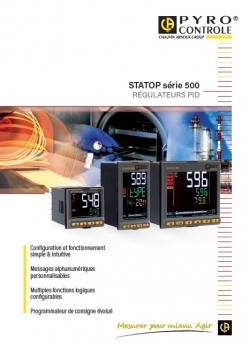 The id50 modular solution for configuration and maintenance of ATEX temperature sensors for explosive environments was also presented at the trade fair. 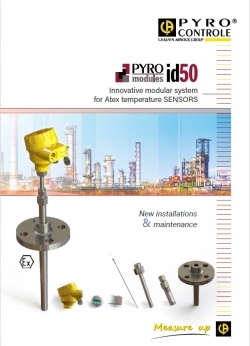 The id50 modular system makes it possible to define a tailored ATEX ia/d sensor suitable for in-line temperature measurement applications and enables customers to replace the faulty part(s) only at a competitive price, whatever the sensor brand. Pyrocontrole also presented its sensors with in-situ calibration. These are based on a simple principle: a space is provided on the sensor assembly to allow insertion of a standard sensor for in-situ calibration by comparison. This helps to save energy, while improving productivity and quality. This method is patented (no. 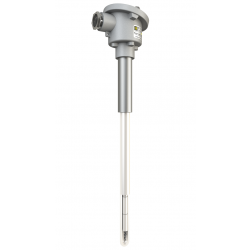 0213616) and can be used for all types of temperature measurement devices, whether based on thermocouples or platinum resistance probes. 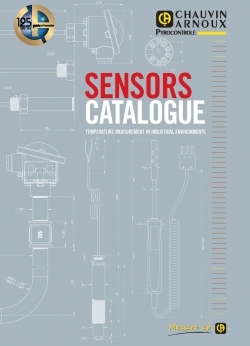 These sensors are very widely used in industrial furnaces and the petrochemicals sector.